Everybody agreed that the water hyacinth had to go. A flowering plant native to South America, it has become an invasive nuisance, threatening local species in more than 50 countries. In Uganda’s Lake Victoria, the deceptively benign purple flower with its bright green leaves outran all efforts to contain it. Under the right conditions, water hyacinth mats can grow at the phenomenal rate of 12 acres per day. The dense growth blocks boat and beach access, smothering out other plants and reducing nutrients that young fish need to grow and thrive. It blocks supply intakes for power plants and has even shut down city grids. The plants also enhance insect habitat, increasing the incidence of mosquito-born conditions like malaria. 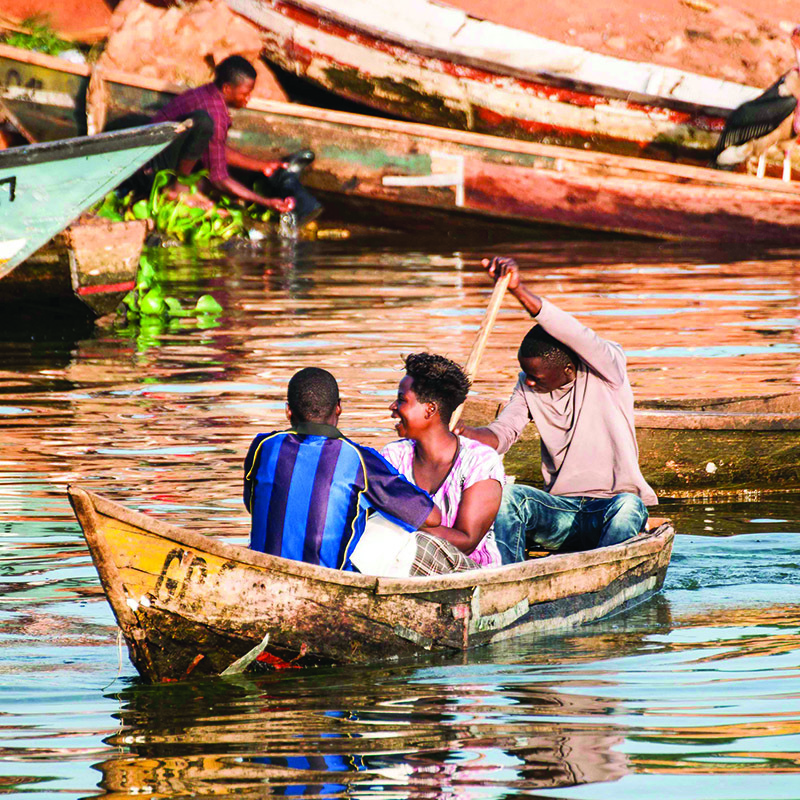 More than 30 million people live in proximity to Lake Victoria. In Uganda, mats of water hyacinth threatened the creatures that call Lake Victoria home. Consider the cichlids, a species of freshwater fish that has developed hundreds of unique adaptations in Lake Victoria. And then, of course, the local people fishing the lake to sustain their families were losing access. So it’s understandable that the Ugandan government might want to bring out the big herbicidal poison to battle this invasive. Officials proposed using 2,4-D to control the weed, and that’s when Greenwatch stepped in. Greenwatch, an environmental advocacy NGO in East Africa, rallied public opinion against the use of 2,4-D and provided information about the negative impacts of the chemical. Kenneth Kakuru, the organization’s founder and Executive Director at the time, wanted better information on the impacts of 2,4-D to present at a public hearing. He contacted a friend at the World Resources Institute who sent the information Greenwatch needed. “He had got it all from ELAW,” Kenneth said. With better information and public support, Greenwatch helped convince the government to use a combination of mechanical and insect controls. Greenwatch has also been part of a long-running effort to eradicate the use of plastic bags in Uganda. Unlike paper, plastic bags don’t decompose. The micro- organisms that break down things like paper and cardboard don’t interact with plastic in the same way. Greenwatch started a campaign in 2002 that led to a plastic bag ban in 2012, with rules enforcing the ban in 2016. “They were tremendously helpful to us,” Kenneth said of ELAW staff. The Greenwatch founder is now bringing his influence to bear from another angle. He was appointed by Uganda’s President Museveni as a judge on the country’s appeals court. 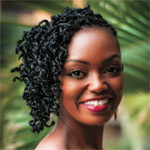 His daughter, Samantha Atukunda Kakuru, grew up in the organization’s offices and ended up attending the University of Oregon, getting her own law degree. She now leads Greenwatch.